There’s no such thing as one correct one answer of course. Much depends you–how fast you work, how much you feel you need to do to feel comfortable, and how many schools you are targeting. There are general common milestones for the months leading up to application deadline, and I’ve given a distilled sense of timeline best-practices in my book. Further to all this, I came across a post from Yale SOM EMBA worth sharing. Note that the deadlines are for an executive MBA (later in the year, on average) and generally the terms of advice assume a smaller applicant pool. Nevertheless it is relevant in principle to address common admissions timeline questions. By the way, if you’re in the EMBA market, Yale SOM is worth your application time. Yale University needs no introduction of course, but the business school has spent a few decades finding itself. It is now undoubtedly racing into the top tier. We would be delighted to get to know and work with you. I recommend meeting our team, current students, and alumni at events online and all around the United States so that you can make a better-informed decision about applying to Yale SOM. Explore the Yale culture and experience the benefits of our small class size. You are not on your own. If you have any questions along the way, our admissions team is available to help at emba.admissions@yale.edu. As a part of the application, you will need to designate the individual who will be signing off on your time away from the office. Now is the time to discuss the EMBA program with your employer. Make sure he or she understands that your EMBA experience will directly benefit the organization. Our students are able to apply what they learn on Fridays and Saturdays directly to their organizations the following Monday, while focusing on developing their own unique leadership attributes throughout the program. Discuss this program and the time commitment it will entail with family and close friends. To perform at your best in the program, you will need the support of those around you. If you haven’t taken the GMAT or GRE in the past five years, start looking at these standardized tests and decide which one you’d like to take. We have no preference. We recommend taking one of the free practice tests available to gauge your strengths and weakness and to develop a plan of study. Many of our students have taken courses to keep their preparation on track. Keep in mind that the standardized test score gives us an understanding of your current ability to process and analyze (primarily) quantitative data in a time-constrained environment. Since our students have a range of work experience from 5 to 25 years, we have different expectations of test scores. This is just one component of the application, which we review holistically. Open the application and review the essay questions. The essays are your best opportunity to showcase who you are and what you are passionate about. Consider who you would like to submit a recommendation on your behalf. We suggest asking for a recommendation early and following up with the recommender to ensure that he or she understands the application deadline. We require two recommendations as a part of a complete application. If you do not already have copies of your transcripts from your undergraduate institute and any other institution from which you have earned professional or graduate degrees, request them. If your transcripts are not in English, you will need to provide a notarized English translation. Please note that you do not need official transcripts for the purposes of the application; you can upload unofficial copies. If you have not recently updated your résumé, now is the time to do so. Please keep the résumé to no longer than two pages. This is your opportunity to clearly show your career acceleration and advancement. Finalize your application! Be sure to review the entire application. 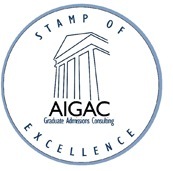 You have until April 12 to take your GMAT or GRE and record your unofficial score. You must submit your application by 11:59 p.m. ET on April 12. You must also submit your application fee at that time in order for the application to be reviewed by the admissions committee. Confirm with your recommenders that they will submit the review form by the final deadline. Once you have submitted the application, the employer approval form will be sent to the individual you have indicated. You can check the application status page to monitor if we have received your official test scores and employer approval form. I came across a little gem for getting company buy-in and maybe even financial support for your MBA, on the Cambridge Judge School site. View the specific Judge School page here, alternatively the fuller pdf document, which remarks “even if you’re not sponsored you’ll need to secure your employer’s understanding and support. “Therefore, in preparing to join an Executive MBA programme one of your priorities will be to seek support from your employer, possibly financial support, but definitely the support to allow you to commit the time required. 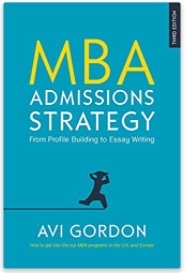 The text is oriented towards EMBA applicants, and obviously references Cambridge Judge specifically, but the observations are widely relevant to managing employer perceptions anywhere, for all forms of MBA, at any business school. Note also that many of the topics overlap with those you need to attend to in writing good MBA admissions essays. This is your opportunity to demonstrate to your employer that you have thought about the value of an Executive MBA from the company perspective. Has your organisation ever sponsored employee education in the past? What is their policy on this? Do any of your competitors sponsor Executive MBA’s? Have any senior managers taken an Executive MBA or similar course? What benefits did previous employees gain from their Executive MBA? What were the benefits to the organisation? How might your colleagues/ line managers/ subordinates support you? How can you obtain buy in from your manager as well as HR? There are a number of Executive MBA programmes available – it is important that you are able to show why you feel the Cambridge Executive MBA is the right programme for you and your organisation. Why is the Cambridge Executive MBA right for you personally and professionally? How do you expect to benefit from the programme (improved performance, networking opportunities)? Which courses are going to make your more effective in your current role? Which course will directly benefit your employer? What individual project can you carry out that will help you/ your organisation? How will the Cambridge reputation add value to your career and organisation? This is probably the most important section for you to consider as a complete understanding of your motivation for undertaking the Cambridge Executive MBA will be vital when discussing the programme with your employer and may influence the type of support you require. Why is this the right time for you to start an Executive MBA course? How will taking this course improve your performance? How will you balance work, study and the other aspects (family/partner) of your life? How do you plan to make use of your personal and professional development?